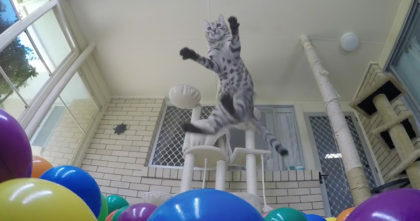 Watch ‘Wild Cats’ Like You’ve Never Seen Them Before… The Results Are Just TOO Cute, Omg!! 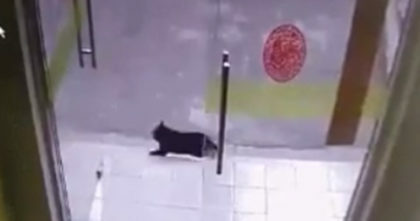 When it comes to cats, you expect to see something more traditional, but this is FAR from your normal house cat – although they do many things just like other cats, these cuties are totally different! When I first saw these ‘cats’ I didn’t even know if they were real cats, but they really are! – These unique cats are called ‘Pallas cats’ and they are cuter than ever – You’ve probably never seen cats like this before! This video is SOO funny and cute, awwwwww… Just watch the video!! 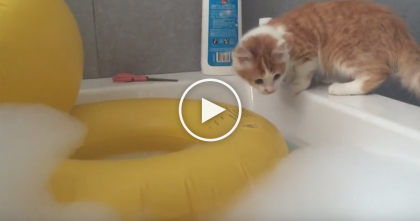 Curious Kitty Is Fascinated By Rubber Ducky And Decides To Jump Inside…But Then Oh NO! !..Poor Cat! 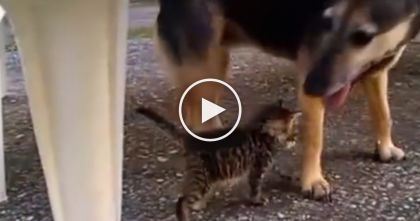 Mean doggie is chasing after the cat, but when the cat outsmarts him… I can’t stop laughing, hahaha!! 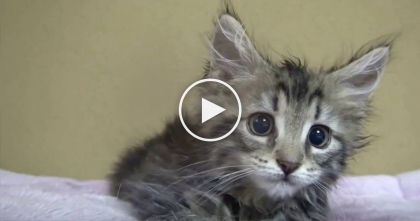 Tiny Kitten Can’t Believe It’s Playtime, Now Keep Your Eyes On The Lump In The Bed…LOL! !